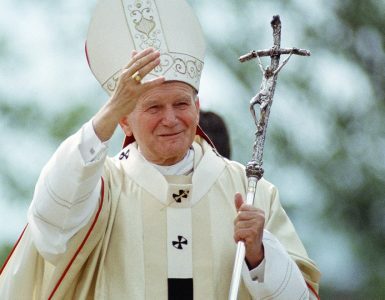 The 6thApostolic pilgrimage of John Paul II took place from May 30 – June 2, 1980. 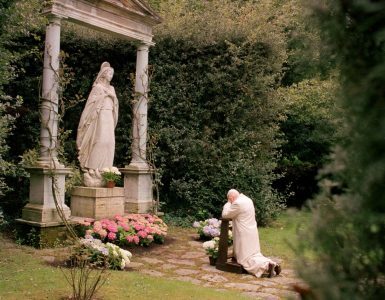 The pope visited Paris, Lisieux, and Deauville. The Notre-Dame Cathedral in flames – the 850-year-old heritage of Christian France. Many faithful were jointly praying for firefighters who were fighting the fire. The fire made unimaginable loss; luckily, it is to believe that most precious treasures have been saved. On the recording: Hail Mary prayed in multi-voice chant by faithful who were praying the Rosary nearby burning Cathedral. Prayerful Parisians also sang other songs. News stations which were providing live streams updates from Notre-Dame even stopped the updates to show and allow to listen to touching prayers. 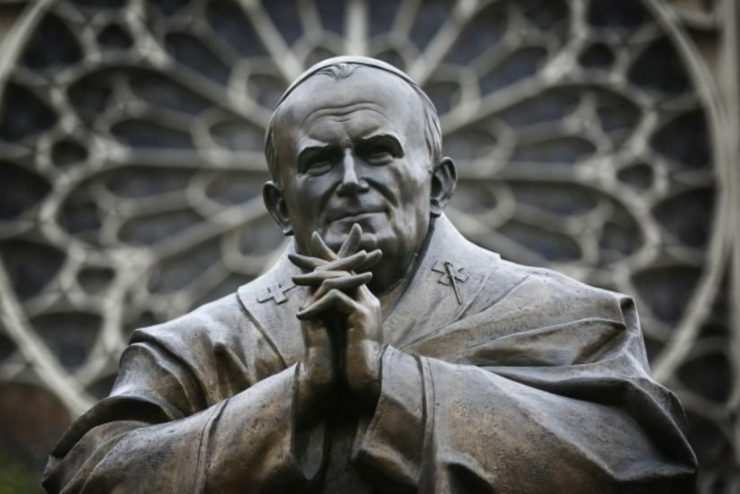 The relics of St. John Paul II and copy of the Our Lady of Częstochowa image which were in the Polish Chapel were saved as well as the cross which was standing by the altar in the Notre-Dame Cathedral – informed Polish Catholic Mission in France. In the Notre-Dame Cathedral in Paris, in which on Monday evening the devastating fire started, had the Polish Chapel with the copy of the image of Our Lady of Częstochowa and relics of St. John Paul II. The copy of the Miraculous Image was solemnly placed in the Chapel on December 1, 2018. 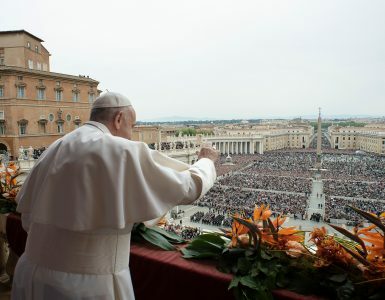 According to the Polish Catholic Mission in France, the copy of the Our Lady of Częstochowa image and relics of St. John Paul II were moved in time by rescue services.